SCIFIT is pleased to announce that we have joined the Life Fitness family of brands. SCIFIT was acquired by Life Fitness’ parent company, Brunswick Corporation (NYSE: BC) on July 8, 2015. Life Fitness is the global leader in commercial fitness equipment. 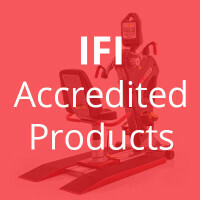 In addition to SCIFIT, their family of brands includes Life Fitness commercial and consumer cardio and strength equipment, Hammer Strength performance strength equipment and Brunswick Billiards game tables and accessories. The SCIFIT and Life Fitness product portfolios complement each other well – with both companies focused on premium products, innovation and passion for those who use and purchase the products. Life Fitness is the global leader in commercial fitness equipment and game tables and furnishings. The company manufactures and sells its strength and cardiovascular equipment and billiards tables, accessories and game room furniture under the brand names Life Fitness, Hammer Strength, SCIFIT and Brunswick Billiards. Its equipment is distributed to more than 120 countries. Headquartered outside Chicago, in Rosemont, Ill., Life Fitness is a division of Brunswick Corporation (NYSE: BC). For more information on Life Fitness and its family of brands, visit www.lifefitness.com and www.brunswickbilliards.com and www.scifit.com. Headquartered in Lake Forest, Ill., Brunswick Corporation endeavors to instill “Genuine Ingenuity”™ in all its leading consumer brands, including Mercury and Mariner outboard engines; Mercury MerCruiser sterndrives and inboard engines; MotorGuide trolling motors; Attwood and Whale marine parts and accessories; Land ‘N’ Sea, Kellogg Marine, Diversified Marine, BLA and Bell RPG parts and accessories distributors; Bayliner, Boston Whaler, Brunswick Commercial and Government Products, Crestliner, Cypress Cay, Harris, Lowe, Lund, Meridian, Princecraft, Quicksilver, Rayglass, Sea Ray and Uttern boats, and Life Fitness, Hammer Strength and SCIFIT fitness equipment, and Brunswick billiards tables, accessories and game room furniture. For more information, visit https://www.brunswick.com. View SCIFIT’s complete product line.